Wondering if any of you are sending your kids to Joe Mithcell in Livermore? We are thinking of moving to this neighborhood and it is going to be the home school. Its ratings are bit low but they are promoting the IB program it is following heavily. Would like to know feedback. I’m new to this pleasanton, and looking to move here could you please let me know the apartments where our Indian community is more in Pleasanton. I have seen Pleasanton Glen apartment online seems to be reasonable prices but its near to downtown pleasanton? I don’t see many Indians living near downtown, could any one living in pleasanton glen apartment, could you please let me know? Hello All, Hope everyone is having a great day. I will be moving to San Ramon from New Hampshire in a few weeks along with my wife for work. I am looking to rent a 1 BR apartment in San Ramon. Could you please give me some suggestions. I have seen some apartments online (Promontory view, Canyon creek, Crow canyon, Bel air). Also, I had some general questions about the area – internet provider, car rental options in the area, bus service options (I will be working in Bishop Ranch). Thanks in advance! we are planning to move to pleasanton or dublin around year end. for my kids transitional kindergarten. please suggest any good places for renting in pleasanton or dublin, with good indian community. the plan is to buy a home there once we find it comfortable. New to Bay area ,We are a family with two kids ( 6 and 3 year old), I work in Pleasanton and my husband works in Cupertino. We are considering buying a single family house in south Livermore area (Sunset elementary or Emma Smith elementary) . We will feel a lot more confident about our decision to buy in Livermore if we knew of few Indian families in the area. How are these schools in comparison to Pleasanton and Dublin schools? Any other Pros and Cons of buying a home in Livermore? Thanks in advance for your inputs. Need advise on Apartments and Schools in Dublin/Pleasanton ca. Hi Friends, This is Mahalakshmi and my husband got a job in SF downtown and are moving early July 2016. I have 1 kid who is 5 years old. We are moving from NewYork and request information. Please suggest us good Indian community apartments where we can find families with kids and also close to Elementary and Pre Schools(which doesn’t have lottery, heard we cannot move to fremont because of lottery based admission). We are open to both Dublin and Pleasanton. I don’t drive a car so must be able to drop the kids to preschool and kindergarten by walking. Hi, We recently moved to San Ramon. I have a bunch of moving boxes. Any one can pick them up if interested. Hi Everyone, My name is Bhavna Singh and I am a realtor, servicing the Tri-Valley area. I completely understand how grueling a real estate transaction can sometimes get irrespective of buying or selling. And keeping this in mind, I am delighted to offer two complimentary tickets for a 5 days / 4 nights Luxury Cruise Vacation, should you choose to buy or sell through me. Please click on the flyer for details. And if you’re buying or selling soon then I highly recommend to avail this offer. Let me know if you have any questions. I’ll be more than happy to help! 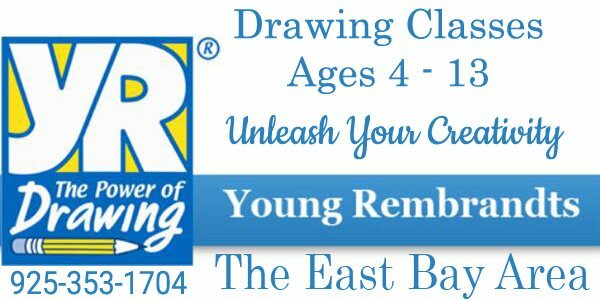 -We are looking for day care after school from elementary school (daughter) and middle school (son). Any recommendations? It will be nice if the day care has pick up service from school. -Has anyone used after school daycare in Frederickson and Wells Middle school? Or may be any other schools in this area? That is something new for us as schools in southern california does not offer after school day care. Is it good? worth it? etc? Hi all, We are a couple moving to East Bay area in October for my new employment. My work location is in Livermore. I am looking for feedback on which cities to consider for living. I do not drive and looking for places close to public transport (BART/Wheels) and grocery stores. I am currently thinking of Dublin/Pleasanton/Livermore. I need your inputs on the following queries. (1) Is it better to opt for a short-term rental for 1-2 months initially and then look for a better place. (2) Any other cities that I missed in my earlier list. (3) What are the best websites to search for rentals. Is craiglist ‘the’ best resource? (4) Are there any places available from October for 1-2 month rental for a couple. (5) what is the average rent, can I find a 1 bedroom flat within $1600/month. Hi All, please provide your feedback good n bad on Alisal elementary. We are planning to move to Pleasanton and my older son will be starting kindergarten in fall. Hi, We would be moving to the Bay area in August and would be working around the Pleasanton area. Looking for a 1Br 1Ba for a family of 3 around Pleasanton / Dublin / San Ramon . Hi, We are moving to Pleasanton and I would like to get some feedback on Walnut Grove Elementary school as well as Lydiksen Elementary. 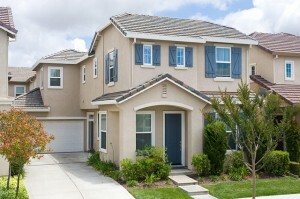 Need advise on Apartments and Schools in pleasanton ca. This is Ragini and my husband got a job in Pleasanton CA Kaiser and are moving early next month. I have 2 kids (6 years and 2 years). We are moving from NewYork and request information. Please suggest us a good Indian community apartments where we can find families with kids and also close to Elementary and Pre Schools. I am not aware of the driving so must be able to drop the kids to preschool and kindergarten by walking. Please provide us some information and you can reach me on kraghaven…@g…com. Hello, We currently live in Alameda and are considering a move to Dublin. Does Dublin have a strong Indian community? How does it compare with Fremont? Is it easy to get into one’s first choice of elementary schools? Responses very much appreciated. I am very glad to have discovered this site. I currently work in San Jose area, and have one kid 4 years old, and planned to buy real estate, but feel it is very expensive, and not getting the value for the dollar. I would like to relocate to the Trivalley area, preferably where there is very good Indian community, especially where the elementary schools are good, and good after school activities for kids. I am open to both condo/Townhome complexes where it is dense, but good indoor facilities should be there like gym, kids activity etc. 2. If I were to purchase a home in 600K to 700K range, what area do you suggest. Really appreciate all your feedback. Hi All, We are moving to California next month , mostly the work location would be San Ramon, and SFO for my husband. We are looking for good apartments with Indians near the BART station. Please don’t send listings from Country brook apartments. + 2br/ 2ba apt/ townhome/ or house (open to lease). Looking for newer rental communities, good schools, parks, shopping, commute (bart) etc. would prefer if kids are around in the neighborhood. Any desis living in Emarald Park Luxury Apartments in Dublin? Hi there, We are a desi family moving into the Emarald Park Luxury Apartments in Dublin (Behind James Doughtery Elementary). We wanted to know if there are any desis living in the apartment complex. Delightful 3 BR 2.5 BA House Available Aug 2 on a one year lease. Walk to award winning Mohr Elem. School & Amaral Park, near HOA pool. Minutes from I-580, and Paragon Outlet Mall. Granite-oak kitchen & master bath, wood laminate & carpet flooring, large loft, private brick patio. Would like to sublet my Apartment. 2 Bed 2 Bath. 1150 Sq.Ft. Washer-Dyer Included. Rent $2100 per month. Please contact for details @5103781904. 2.Leather Love Seat br and new – $150. I am a professional working female, have family living locally but would want to share an apartment with a female and prefer smoke free and pet free roommate. I will have all the apartment research ready and hence will have all the necessary information of initiate a sublease with anyone who is interested. Looking for a responsible individual who would like to rent a room and a bathroom in a single family house. House is very close to highway 580/680. Rent is $850 per month and includes power, water, sewage, internet. Large kitchen, backyard and frontyard. Plenty of parking space. Tenant should be clean and one who respects privacy. Room has lamps, a walk-in-closet, desk, chair and a mattress. The review underneath has originated as a result of responding to an inquiry. Though it would help all or some who’ll be seeking an advise (I also advise you to do your own ground work before u decide) – I know how critical of a decision it would be when you are moving to a new area……..GOOD LUCK! Of course, all of the apartments included here are extremely convenient, centered around all the big employers in the area, close to shopping, entertainment, and a lot more which anybody might want to get involved in. They are all close to the intersection of I-580 & I-680. Any Indian kids in Lydiksen Elementary? I am new member to this site. My family is planning to move to pleasanton in search of better schools for my 2 kids. A 4 yr old, who will join Kinder garten next year. And a 19 month old. We were looking at a property near stoneridge community, for which elementary would be Lydiksen. And Hart middle school. I would like to know if there are decent number of indian kids going to that elementary? Also are there any indian day cares where I can send my little one to? Kindly reply and provide your valuable inputs. Since, that would help me decide if my family can move to this area or not.